What is the purpose of an Anti- Vandal Mirror? 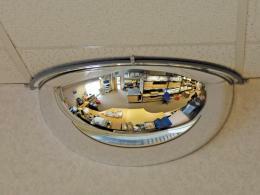 This type of convex mirror is used to provide visibility where safety and security is a huge concern. Thanks to it’s maximised angle of visibility, it is able to help users have a clear view of their immediate surrounding location. This type of blind spot mirror mirror is a cost effective, and simple product to add as a security measure to areas where visibility is restricted. 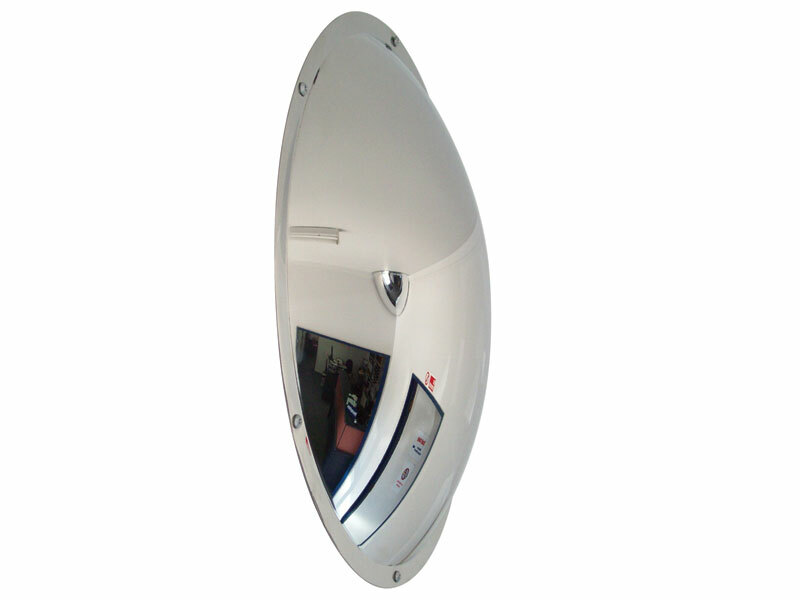 The maximum visibility of this security mirror provides an assurance of what is happening around you. It is also designed to be resistant to blows and impact, making it difficult to be tampered with. Where can a Anti- Vandal Mirror be used? 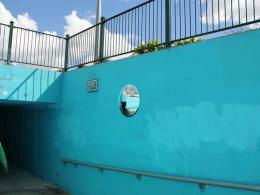 A curved mirror such as this product can be used in locations to assist visibility, such as public spaces with restricted views. It is particularly useful in areas prone to vandalism, and quite often installed in areas such as underpasses, multi- storey car parks, and subways. 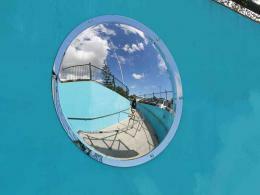 The convex mirror is also useful for other premises such as car parks to try and reduce collisions and car damage. Something as simple as a safety mirror such as this product can be a cost effective addition to security measures in a variety of premises. Security personnel can be advised to mount these mirrors in specific places of buildings to secure the environment. Who might use this convex mirror? Personnel tasked with security management in any location will find this a useful tool in their protection efforts. The mirror should be mounted by a person who is familiar or has been trained to ensure optimal positioning. In domestic areas, this convex mirror may be installed by local security enforcement, in areas they deem suitable to ensure additional security and the safety of pedestrians. This curved mirror is made of stainless steel which is not easily breakable, unlike glass, and yet remains clear. This product is wall mountable, and is 500mm in diameter. The highly polished steel face of this convex mirror presents the user with 180 degrees of vision. The Workplace Depot offers a standard one year warranty on all parts and labor. Our Dome Mirrors fully comply with all local council and government regulative manufacturing requirements to ensure the safety of your customers and staff.